As a part of the ramp up to the unveiling of the first trailer for Joe Johnston’s The First Avenger: Captain America during the Super Bowl on Sunday, the first poster for the film has been released. Starring Chris Evans, Hugo Weaving, Sebastian Stan and Hayley Atwell, the film will hit theaters on July 22nd in 3D. 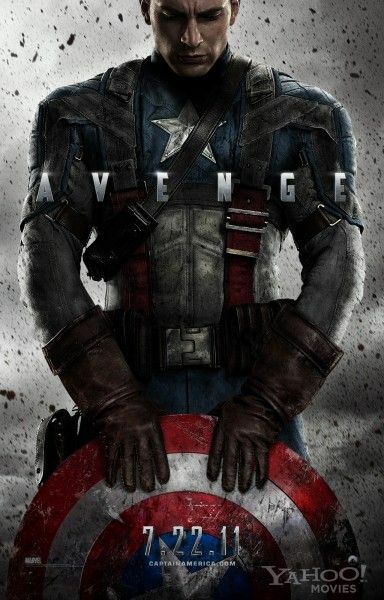 Featuring the tagline “Avenge”, the poster is equal parts gritty and enticing. As an introduction to the character/film, I’d say they hit it spot-on. Hit the jump to check out the full poster for yourself.